It’s a major development in modern comics production and distribution and you can click here to read all about it. 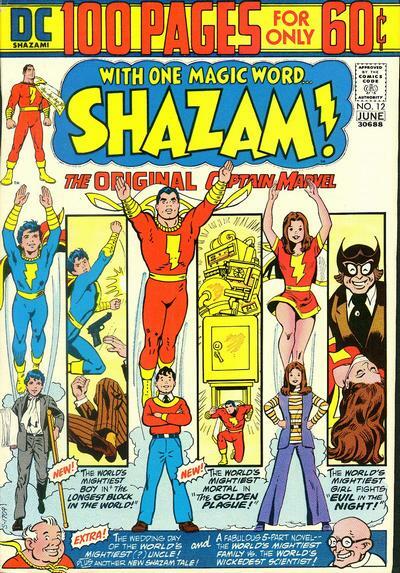 Of course, this gives us a great excuse for a 13 COVERS gallery of faves from said 1970s. 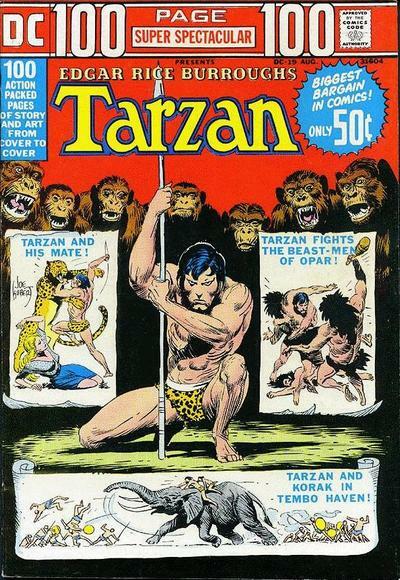 Cover images and credits from the super-spectacular Grand Comics Database. 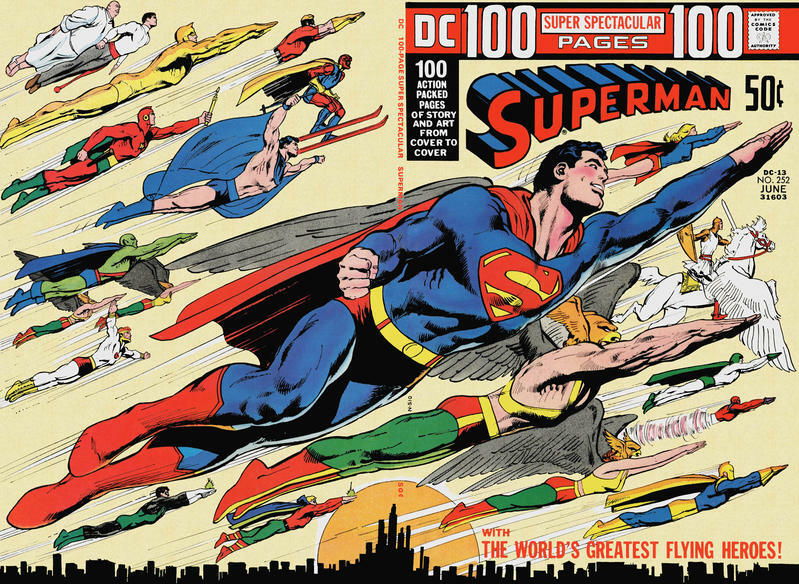 My favorite is the Neal Adams World’s Greatest super heroes 100-page giant. I love it for many reason but top of the list is the appearance of Earth-1 Robin in his Batman/Robin hybrid costume on the back cover. That is fantastic. Nice! I owned a few of those books! I forgot about the WW issue! 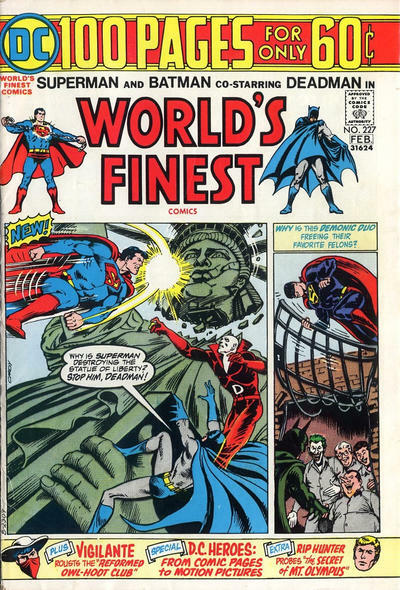 My favorite cover in the bunch is #6 World’s Greatest Super-Heroes. I got really excited when I first saw this. That World’s Greatest Super Heroes is a favorite of mine, too. 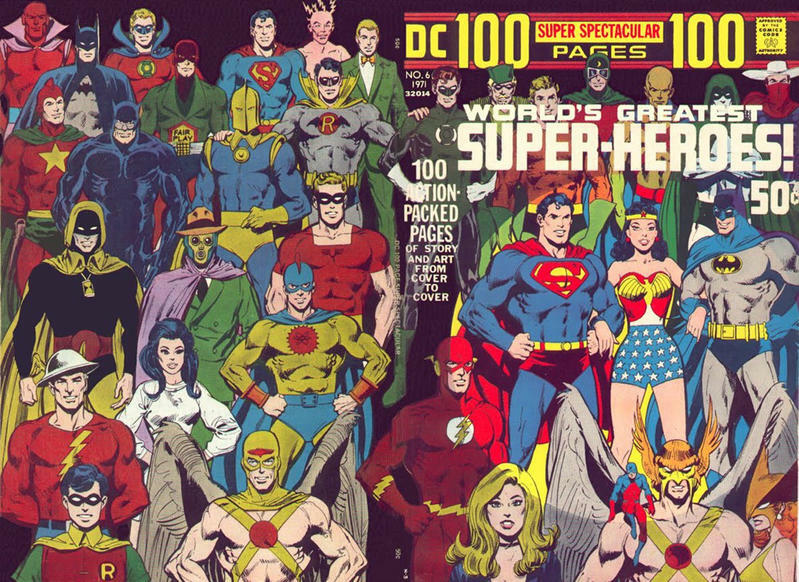 I like that, since that was during Diana Prince’s white-suit era, the Earth-One Diana Prince is hanging out with the (mostly) Earth Two heroes on the back cover, while the Earth Two Wonder Woman appears with the Earth One Batman and Superman, so we get the big three all in costume. I wonder why the Earth One Robin is on the back with the Earth Two heroes, though. The strange thing about that Wonder Woman 100 pager is that the large “main” image is devoted to one of the reprints while the new story was crammed into a small panel in the left corner. 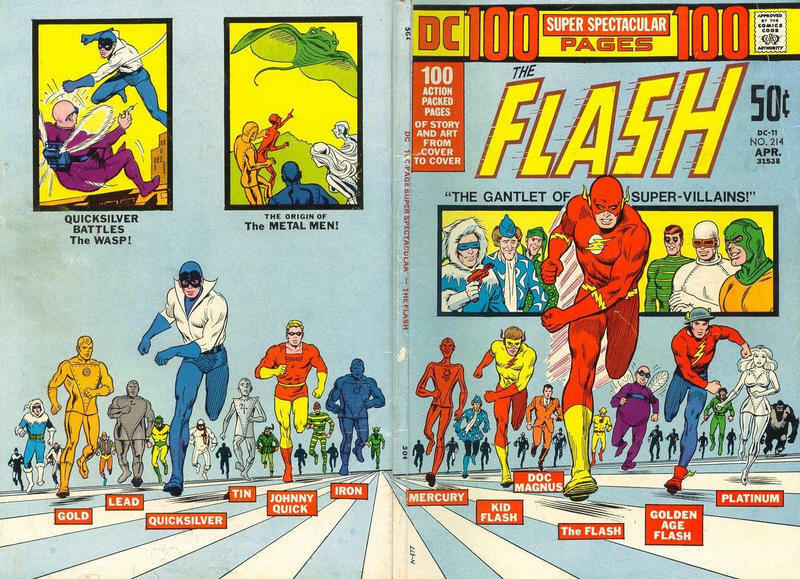 The reprint featured as the “main” image on the 100 pager wasn’t even the cover feature on the issue in which it originally appeared. 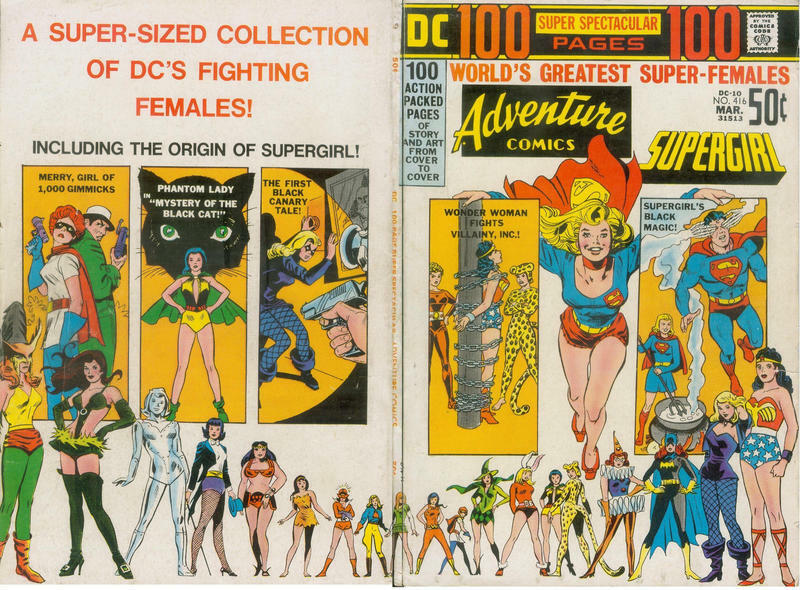 On the “World’s Greatest Super Females” Adventure cover….I love the cover, but was disappointed that Batgirl didn’t have a story since she was on the cover. Of course, I would have been disappointed if she had been left off the cover. 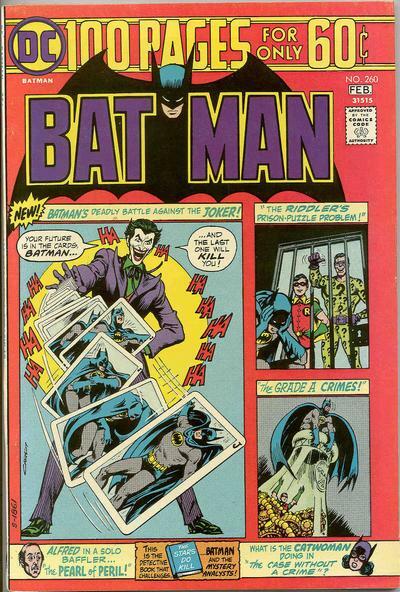 In addition to these, Jim Aparo did some really beautiful covers for the Detective 100 pagers during that time. 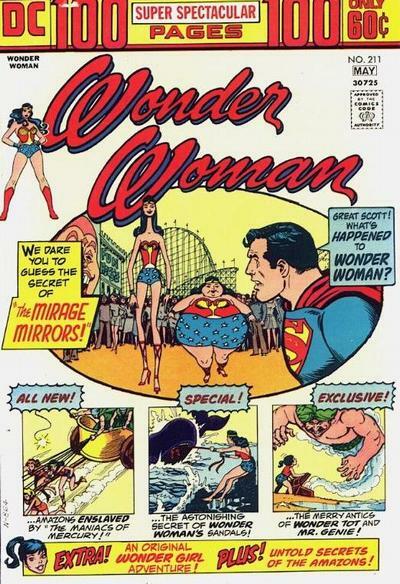 The “World’s Greatest Super Heroes” cover emphasizes the problems Wonder Woman was having at the time. She’d been in her powerless phase for *three years* at this point, yet if you asked the average reader who Wonder Woman is, they’re going to think of the star-spangled Amazon. DC reverted to this look about a year later. 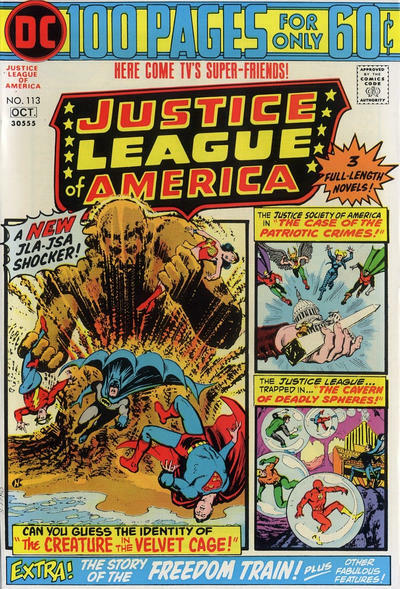 This is also borne out by the Wonder Woman cover from the freshly-repowered era, when writer Robert Kanigher was so bereft of inspiration that he was rewriting Golden Age stories. So few writers really knew how to get the most out of Wonder Woman, and sadly the long-tenured Kanigher was not one of those writers. These bring back so many GREAT memories. 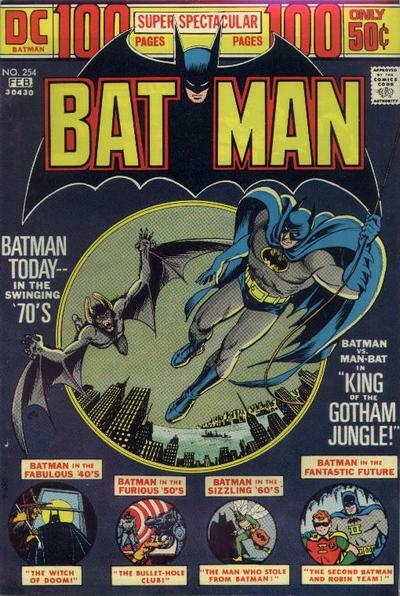 When I first started buying comics in 1974, I couldn’t afford these with my allowance- so these were the forbidden fruit of youth than turned into my holy grail in the 80s! 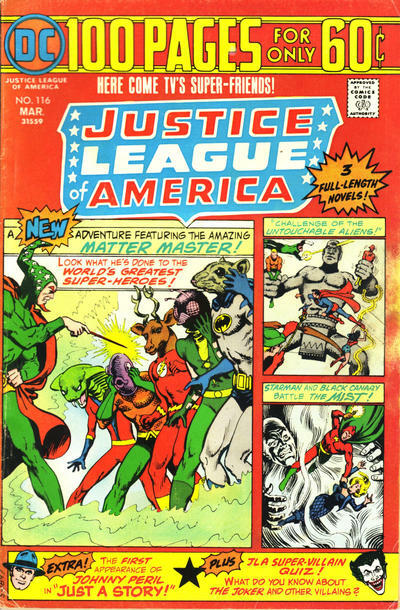 I spent hours reading the Justice League 100 pagers that my older brother bought and loved some of the more off beat tales- “Just a Story” is one that sounds out. 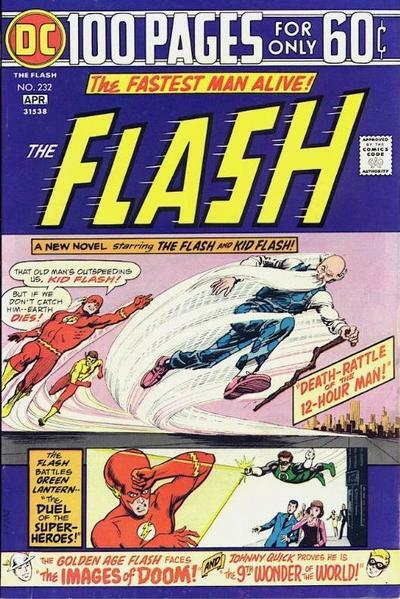 I preferred reading the stories that did not reprint the lead character’s past stories – to my young eye, only Dillin could draw the Justice League, only Aparo could draw Batman, and only Novick on the Flash. It was much too jarring to see others attempt their interpretations (in mind- there was a reason these were in the back of the book! If only I knew). Over time, I grew more open minded- and now when I buy an Archive or an Omnibus I am swept back to the time when 100 pagers roamed the Earth, and I am 7 once more!